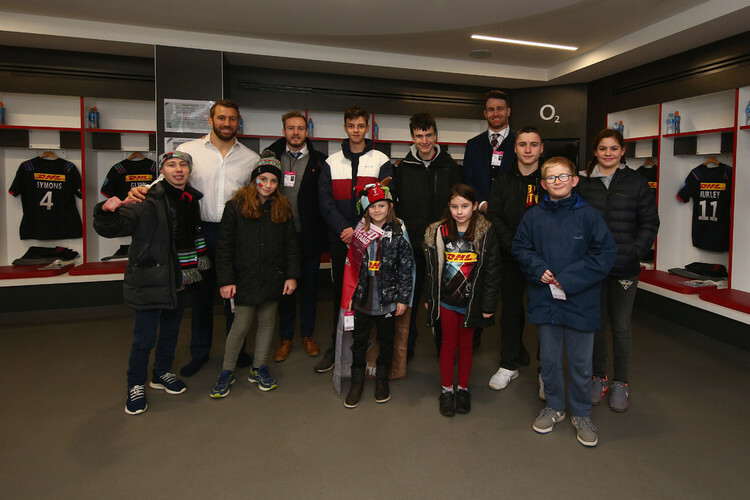 Ellie Redfern (Year 7) was given a once in a lifetime opportunity to be a player mascot at the Big Game 11 Harlequins vs. Wasps at Twickenham Stadium over the Christmas break. Ellie joined Harlequins player Jack Clifford to run out in front of the 82,000 fans who had turned up to watch the match. Prior to the game, Ellie enjoyed a behind the scenes tour including a look inside the changing rooms. Furthermore, she was lucky enough to meet all the Harlequins players including the Ex-England Rugby Captain, Chris Robshaw. Ellie was delighted to receive a Harlequins shirt and a ticket to watch the another match. Well done Ellie! “On Saturday 29th December I was asked to be a mascot for Harlequins at the Big Game 11 at Twickenham. We arrived at the stadium at 1.00 pm and went to collect the tickets. I had to be at the Spirit of Rugby entrance at 1.50pm where I met all the other mascots. We went into the stadium for the changing room tour; I sat in front of Joe Marler’s shirt. Little did we know that Chris Robshaw was right around the corner. When he walked in everything went silent: he was huge! We then got a photograph with him and went out to meet our parents. It was an hour before the match so we walked around the fan village and bumped into some family friends.